This Studentship is available to new DPhil students and will be awarded in 2019. It covers course fees (at Home/EU rates) and carries a maintenance allowance of £14,777 p.a. for up to three years. Please download the Rawnsley Studentship poster if you would like to advertise the scholarship to current students. Applications will considered by a selection committee including Fellows of the College in Modern Languages and in English. The committee considers applications according to academic merit and the criteria for eligibility. Applicants will not normally be interviewed. A covering letter of no more than two A4 sides explaining the pertinence of the applicant’s research to the academic interests of the Rawnsley Studentship. A written statement giving us permission to review your application to the University. Applications should be sent, by 12pm on Friday 3rd May 2019 at the latest. This one-year scholarship will provide £500 for one year, to a student beginning a postgraduate degree in English in October 2019. The award will be made to an outstanding candidate who has applied to St Hugh’s College. This scholarship was made possible by the generosity of St Hugh’s alumna Karen Margrethe Shepherd (English Language and Literature, 1959). This one-year scholarship will provide £3,000 for one year, to a student beginning a postgraduate degree in Medieval and Early Modern English in October 2019. The award will be made to an outstanding candidate who has applied to St Hugh’s College. This scholarship was made possible by the generosity of St Hugh’s alumna Professor Velma Bourgeois Richmond (Medieval Literature, 1955) and Professor Hugh Macrae Richmond. The College offers around six scholarships linked to the Clarendon Fund and supported by generous donations to St Hugh’s College. These awards are administered centrally and not by the College. If you have either named St Hugh’s as your college of preference on your University application form, or indicated that you wish your college choice to be overridden for funding purposes, you will be automatically considered for one of these awards. 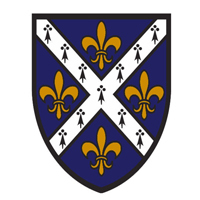 The St Hugh’s Clarendon awards normally offer full fees and maintenance costs for up to three years of DPhil study. The College offers scholarships linked to the Arts & Humanities Research Council and supported by generous donations to St Hugh’s College. These awards are administered centrally and not by the College. If you have either named St Hugh’s as your college of preference on your University application form, or indicated that you wish your college choice to be overridden for funding purposes, you will be automatically considered for one of these awards. The St Hugh’s AHRC awards normally offer full fees and maintenance costs for up to three years of DPhil study. Who can apply? It is available to all graduate students (excluding graduate-entry medics). What is it for? The Barbinder Watson fund supports research-based travel and conference attendance. How much? The amount awarded depends on the length of your course. How do I apply? Applications can be made via the online form, and further information can be found here. Deadline? There is no deadline for Barbinder Watson as applications are considered throughout the year and will normally be processed within 14 days. Who can apply? It is available to all graduate students (excluding Graduate-Entry and Clinical Medics). What is it for? An additional fund set up by the MCR to support students’ academic research and conference attendance where the Barbinder Watson Fund does not cover the total cost. Applications may be considered for those who have previously used up their BW eligibility on a separate trip but will be given lower priority. How much? Applicants can apply for a maximum of £500, but must show a detailed budget. How do I apply? Applications can be made via the Barbinder Watson online form by ticking the ‘MCR Travel Grant’ box, and further information can be found here. All applications are considered by Student Support Committee in 6th Week of Hilary and Trinity Terms and applicants will be informed soon afterwards. Deadline? Applications must be made before Monday 5th Week in Hilary and Trinity Terms and awards cannot be made retrospectively. Up to 6 grants will be made in each respective term, with a maximum of 12 grants per academic year. Who can apply? All graduate and undergraduate students at St Hugh’s. Students who are eligible for Barbinder Watson, the MCR Travel Grant or departmental funding should apply there first. MBA treks are not eligible. What is it for? To contribute towards the cost of a course or travel related to your course. How much? Applications are assessed individually, however students must give details of a thorough budget. How do I apply? Applications can be made via the online form, and further information can be found here. All applications are considered by Student Support Committee in 6th Week of each term and applicants will be informed soon afterwards. Deadline? Applications must be made before Monday 5th Week in Hilary and Trinity Terms and awards cannot be made retrospectively. Who can apply? This fund is open to applications from all Clinical and Graduate-Entry Medics at St Hugh’s College. What is it for? To provide assistance in meeting the costs of their medical elective. Eligible costs include travel, accommodation and subsistence. How much? Applicants are eligible to apply for up to £500. Deadline? There is no deadline for the Biological Sciences fund as applications are considered throughout the year and will normally be processed within 14 days. What is it for? To reclaim the cost of purchasing a stethoscope. How much? Reasonable costs for a stethoscope can vary between £60-£180 and will be considered on a case by case basis. How do I apply? Students should send an email to college.office@st-hughs.ox.ac.uk with a copy of their receipt. Who can apply? All graduate and undergraduate students at St Hugh’s. Students who are eligible for the Biological Sciences Fund or departmental funding should apply there first.